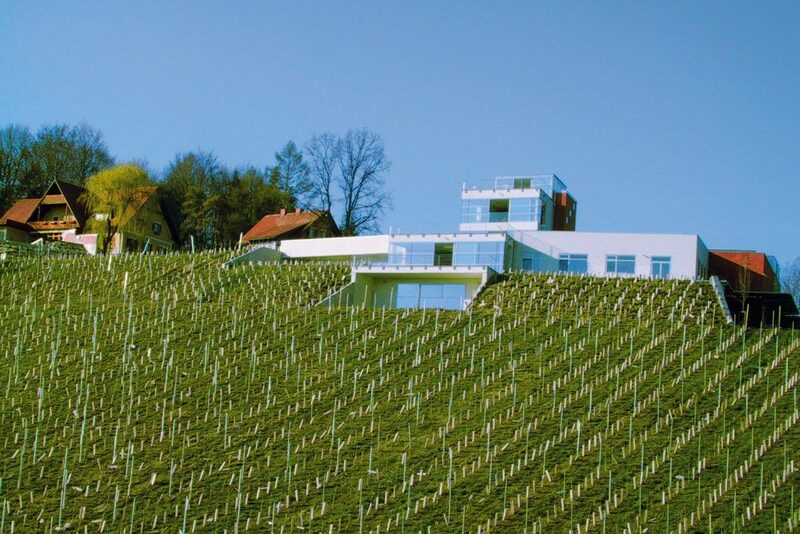 Modern architecture has spread through Styria’s vineyards. 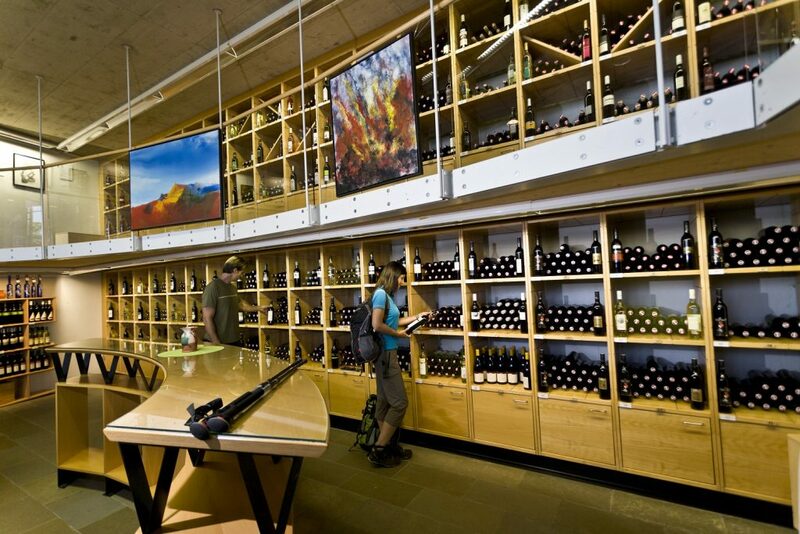 The wines are getting the environment they deserve. 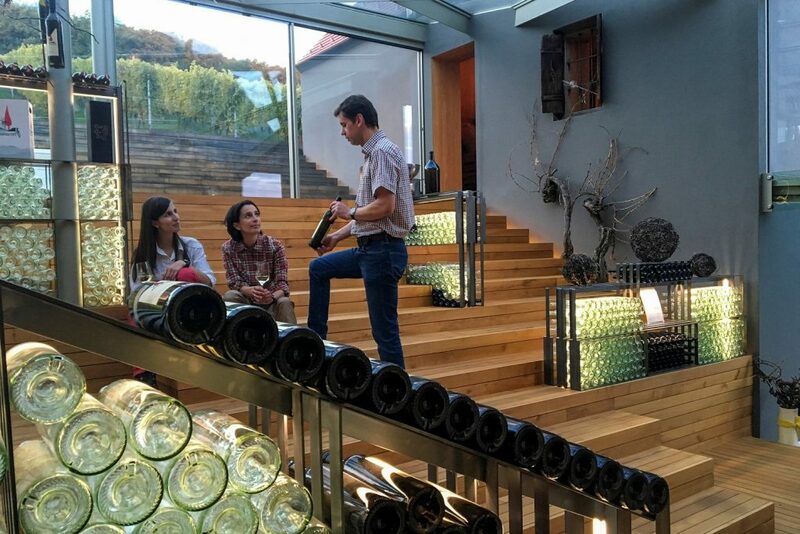 The meticulously structured natural and cultural landscape along the Styrian Wine Route requires a special degree of sensitivity in dealing with the surrounding area. 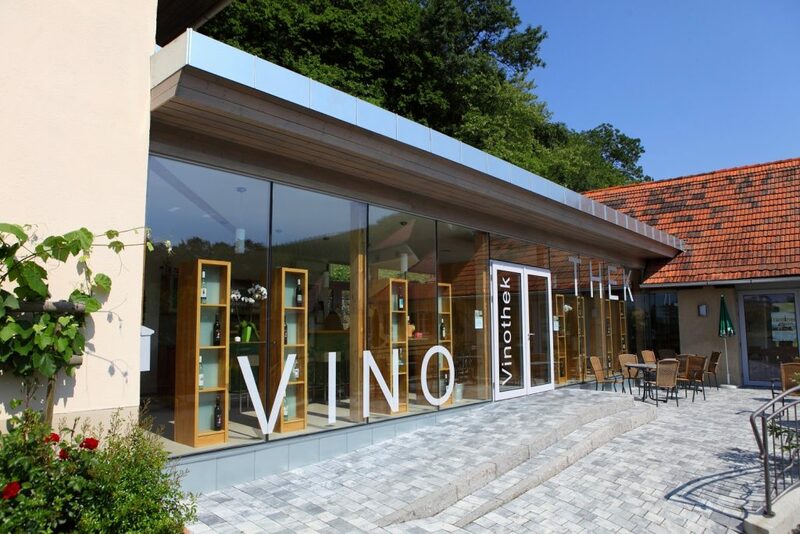 The strict symmetries of the vineyards, the backs of the reeds like stranded humpback whales, the dizzying serpentines of the narrow streets – this scenic kaleidoscope does not tolerate every kind of structural addition or intervention. Knowledge of the area’s historical roots is required without the loss of architectural courage to try something new. You need to be very sensitive to work in harmony with nature and avoid slapping it in the face. 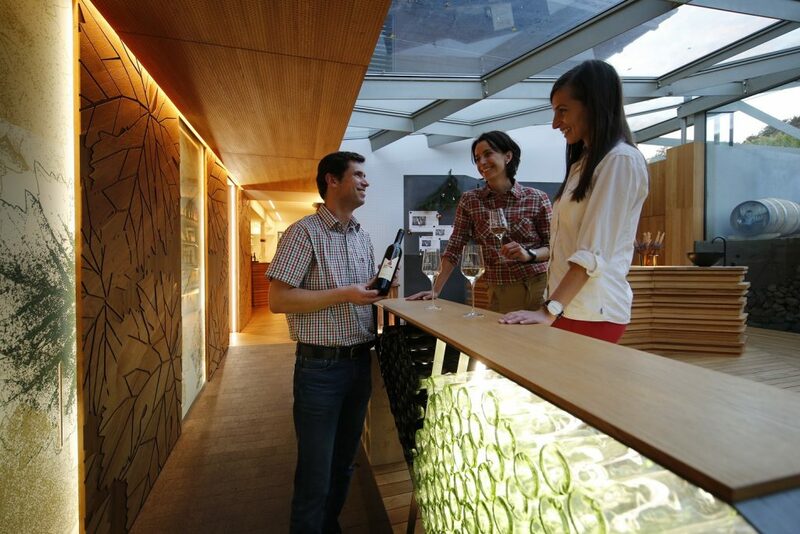 In recent years, the young Styrian winegrowers, in cooperation with progressive, courageous architects, have done so with largely sensational success. 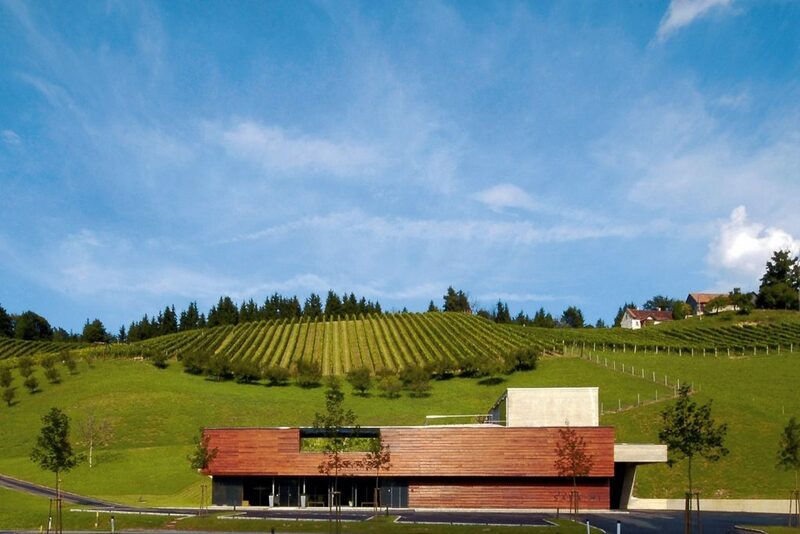 Simply, elegant wooden façades nestle perfectly into the landscape despite their considerable dimensions and flow over the vineyard terraces by imitating. Sober exposed concrete blocks, in which state-of-the-art stainless-steel tanks sparkle, become ingenious connecting bridges to old building materials, while generous glass surfaces provide the necessary transparency and internal radiance. All this has here on the Styrian Wine Country Cycle Trail has led to an entirely new self-conception on the part of the winegrowers. 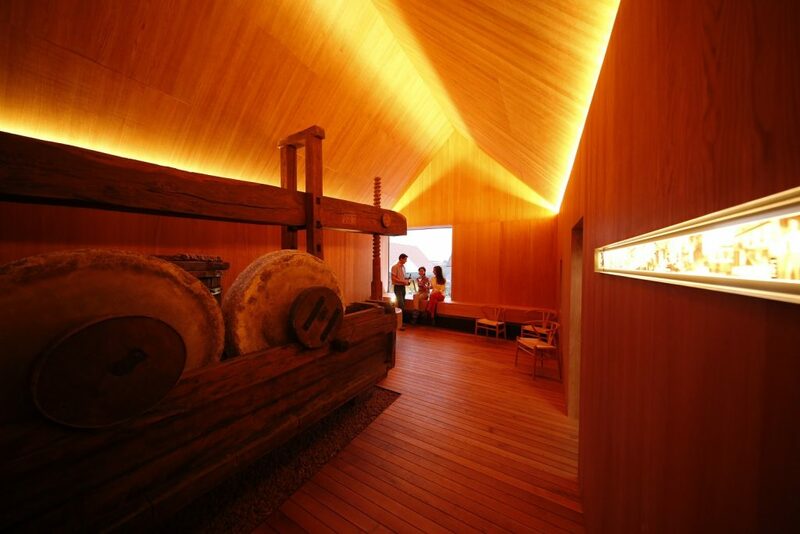 Paired with top-class craftsmanship, which time and again is the source of world-class wines, fine wines are provided with the ambience they deserve. Modern, but not too much, tasteful, but not intrusive. And above it, as Styrian writer Gerhard Roth describes in a quote of timeless pertinence, “ the heavens pour out a floral bouquet of colours” that slowly wilts at the end of the day. “And the setting sun transforms the landscape into a cut-out silhouette. The darker it gets, the greater the heavens become.” And the better the wine tastes.